This is a catchy, upbeat boboobo (buh-baw-buh) traditional recreational dance song of the Ewe of Ghana that celebrates the value of strong friendships. Designed for three parts treble or mixed voices, it includes drumming ensemble parts, a simple dance step sequence, context, and a translation. 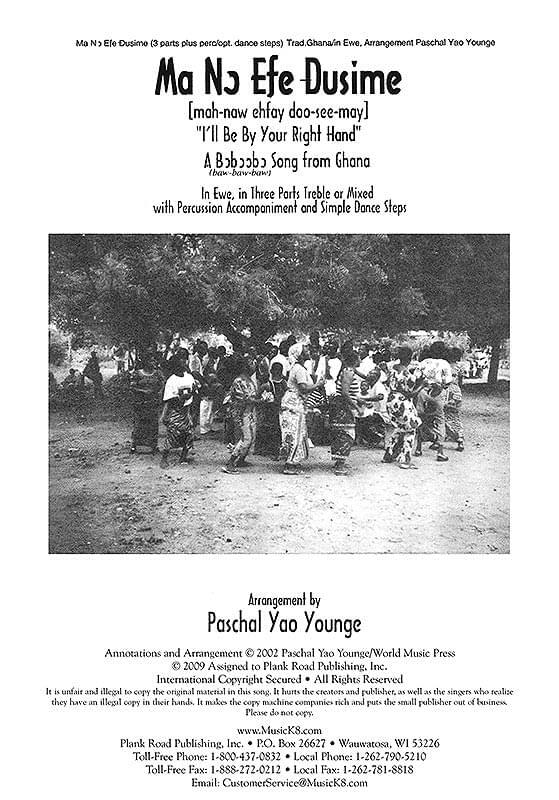 Arranged by Ghanaian master musician/director of World Music at West Virginia University, Paschal Yao Younge.